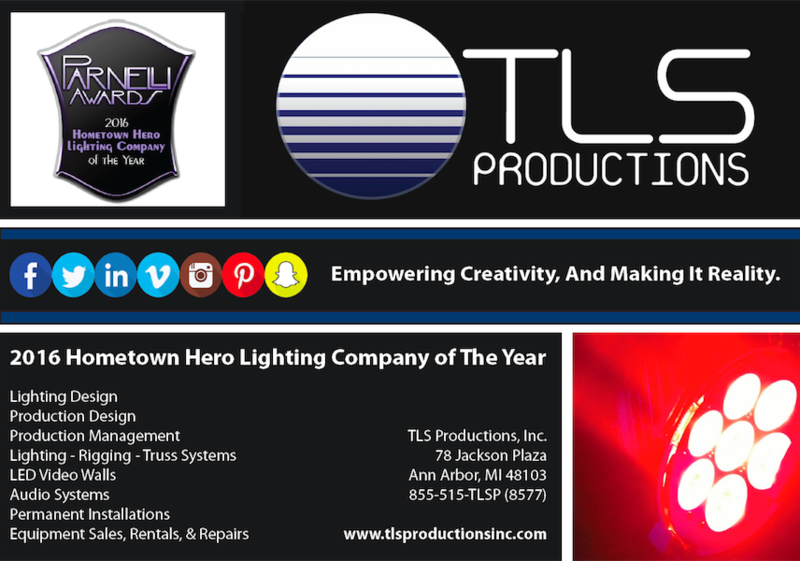 Empowering Creativity, And Making It Reality - Our mission at TLS Productions, Inc. We do this by offering a turnkey operation; we provide consultation and all the necessities to design, rig and light exhibits, productions and permanent installations of any size, including state of the art audio and video elements. We offer equipment rentals and sales encompassing most international brands and both electronic and mechanical repairs are done in house. TLS Productions, Inc. also provides theatrical draperies for rental and sale and can fabricate drapery to meet your specific needs. 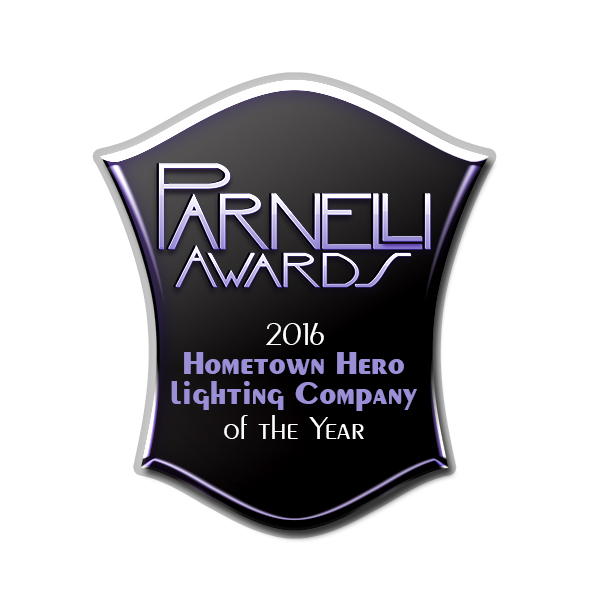 If it's lighting, rigging, staging, audio or video related, there are no limits to the products and services that we can provide. Did you know that TLS Productions, Inc. is an ETC Factory Authorized Service Center with ETC Factory Authorized Field Service Providers on staff? 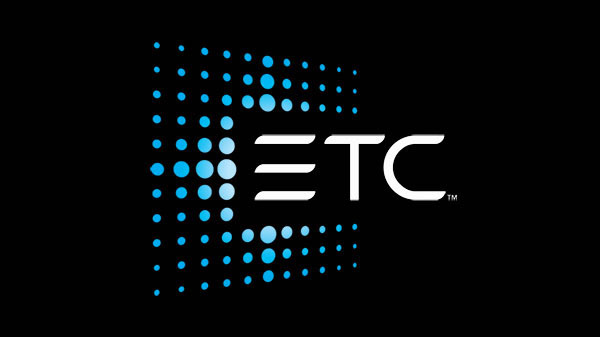 Our ETC Field Service Providers handle a variety of functions – advising contractors on proper methods for installing various products, providing phone tech support, providing onsite tech support when problems arise, updating operating software and doing new system commissioning along with owner training. And when needed, we can provide loaner equipment or acquire equipment direct from the factory, we can also facilitate factory repairs as needed. Keep your ETC equipment operating at peak performance, and contact Michael Kelty, ETC Factory Authorized Service Technician! 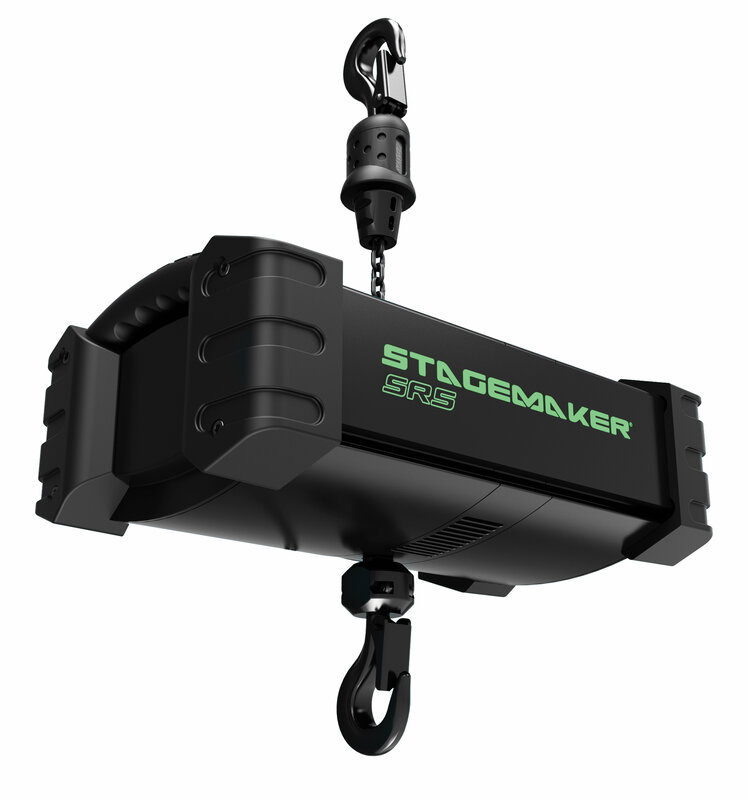 STAGEMAKER hoists are designed to handle stage and theatrical equipment and enable the safe and accurate positioning of lighting systems, speakers, and various scenic elements. The features and options of STAGEMAKER hoists make them a great choice for a demanding customer. Their low weight make them ideal for touring events. Their compact size permits them to fit inside truss structures. Their quietness makes them ideal for operation during performances, even in theaters. Stagemaker’s CE mark and CSA c/us certification ensures the quality process. 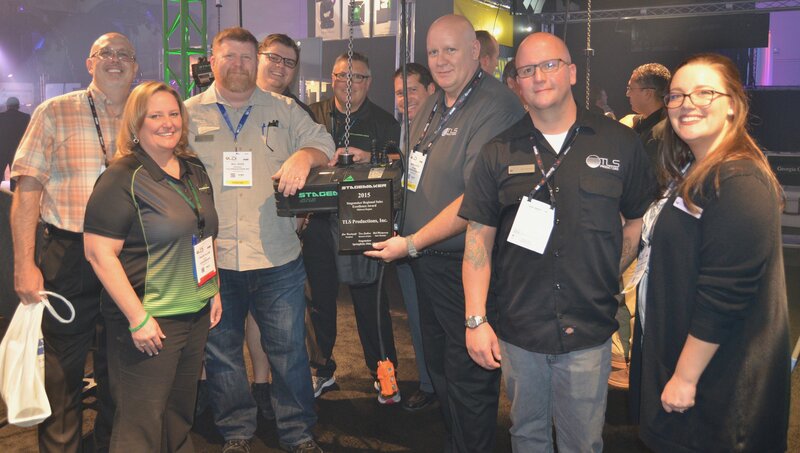 TLS Productions, Inc. is a dealer and Factory Authorized Service and Certification Center for STAGEMAKER hoists, with one of the largest rental inventories in the Midwest. We invite you to learn more about STAGEMAKER products for your next production, so contact us today! TLS Productions, Inc. is also a Columbus McKinnon Authorized Service Center and can provide CM Hoist Service & Certification, in addition to CM hoist sales and rentals. Our mission, along with Columbus McKinnon's mission on this topic, is to improve the quality of hoist service and repair; contact us today to learn more about CM Hoist Service & Certification, or to inquire about CM hoists for your next production! TLS Productions, Inc. will be CLOSED end of day Thursday 12/22 and REOPEN Tuesday 12/27 in observance of the Christmas holiday. TLS Productions, Inc. will be CLOSED end of day Thursday 12/29 and REOPEN Tuesday January 3, 2017 in observance of the New Year holiday. What have we been up to since November's newsletter? The long days of hard work continue in preparation for the San Diego International Auto Show, CES 2017, and the 2017 North American International Show, all of which open to the public within the next few weeks! On the topic of our work this auto show season, PLSN recently published a great article in their December issue. 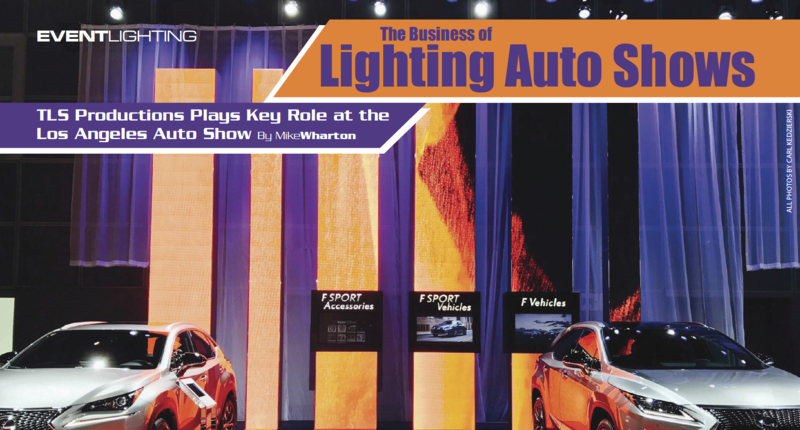 "The Business of Lighting Auto Shows" covers the role we played at this year's Los Angeles Auto Show, and takes a closer look at our company as a whole, and our work within the auto show industry, in general. You can check out the article online by clicking on the image below, and if you're a PLSN subscriber, the December issue will be showing up in your mailbox soon, if it hasn't already! If you're not a PLSN subscriber, subscribe today! TLS Productions, Inc. will be exhibiting at 2017's EXHIBITORLIVE !!! Will you be attending? If so, visit us at Booth #1907! Want a free pass to the exhibit hall on us? Click here! To learn more about the Peer2Peer Roundtables, click here! Happy Holidays once again, and happy opening (or closing) to many of you doing the holiday circuit of shows. We held our third Ann Arbor Vectorworks User Group Meeting on December 10th and had a new crowd of attendees! We went over the new Cable Tools in Vectorworks 2017, of which none of the people in attendance, aside from myself, actually owned a license for 2017. Most of the tools seemed like magic to them, and most saw an opportunity to finally do design, engineering and equipment pull list generation out of one piece of software. From this we got onto the subject of the different uses of Vectorworks in our industry, including ways that non-designers and draftsman can utilize Vectorworks to get an idea of scope with shows and designs. All in all, it was a very successful meeting and everyone in attendance took some new information away from the discussions. I look forward to seeing more of you in the meetings coming up in the New Year! "When I’m drafting a project, I keep needing the same custom label legends in multiple projects. Is there an easy way to transfer the legends?" Vectorworks treats Label Legends as symbols in the Resource Manager. This means it's as simple as importing the legend like you would a symbol, by either searching for it by name in the Resource Manager, or opening the previous file alongside the new file, and importing it direct. Hope this helps! "What was your favorite project to work on?" Oh... Well, I guess there are two of them. My favorite show to have designed was probably my set design for Les Miserables for a local high school. I spent about two months on design, build and tweaks on a set that included a show portal with multiple levels, a full screen projected backdrop, and a 24’ raised turntable. Needless to say, it took a lot out of me, but left me feeling very satisfied with Vectorworks’ capabilities of showing a design and building from it. My favorite project to work on from a technician side was the first big gig I had here with TLS Productions, Inc. I was an Audio Tech for the North American International Auto Show, working in the Toyota booth. I was in charge of running cable, testing out the system and insuring that it was ready for the designer to come in and run the show. At the time, it was a completely new and exciting process, and it allowed me to take information from the design and apply it to Vectorworks in a way that I could communicate the plan to stagehands and other techs on site. If I keep thinking about it, I’ll probably come up with at least 5 more shows I loved... so I think I should stop while I’m ahead. This month’s tutorial comes in the form of a video that I stumbled upon. One of the most confusing parts of Vectorworks I hear from fellow users is Viewports & Sheet Layers. Sean O’ Skea has an amazing, and surprisingly brief tutorial on the subject. Click here to give it a watch! Please feel free to jump on to the contact page on my blog and send over your questions for next month's column, comments on this month's column, and any and all follows ups on my tutorials and answers. Vectorworks User Groups are an important part of the Nemetschek Vectorworks, Inc. community. They provide a forum in which Vectorworks users can learn about the software, share knowledge, experiences and advice, ask questions, and network with their peers. The User Group will meet on a regular basis, a minimum of four times per year, once per quarter. Once you're all signed up, fill out the form at the link below to give us a bit more information about how you use Vectorworks, and what you want to gain from the Ann Arbor Vectorworks User Group. In a recent demonstration, Professor Wallace Bridges, director of EMU Theatre’s upcoming production of Lorraine Hansberry’s A Raisin In The Sun, was able to experience a walkthrough of the full size virtual environment of the set, designed by Entertainment Design & Technology student, Aaron Delnay. Using the Stage Presence virtual reality equipment and software assembled for ED&T by Jeremy Gibson Bond, Professor of Practice, teaching game design and development at Michigan State University, Bridges experienced the environment of the set as the actors and audience will see it during performances. This is an amazing tool that puts designers, directors, teachers and others involved in the production process, in the environment of the scenery and the auditorium. Aaron Delnay has been awarded a Symposium Undergraduate Research Fellowship for his work helping to demonstrate the use of this new design tool. He will be demonstrating the technology at EMU’s 2017 Crossing Lines Design Expo on March 31st at the EMU Student Center. The event, presented in conjunction with the annual Undergraduate Symposium, is free and open to the public. Come and put on the VR goggles and take a walk through the set. You will be impressed with Aaron’s work. A Raisin In The Sun runs February 8 through 12 and also features lighting design by ED&T student, Bethany West. 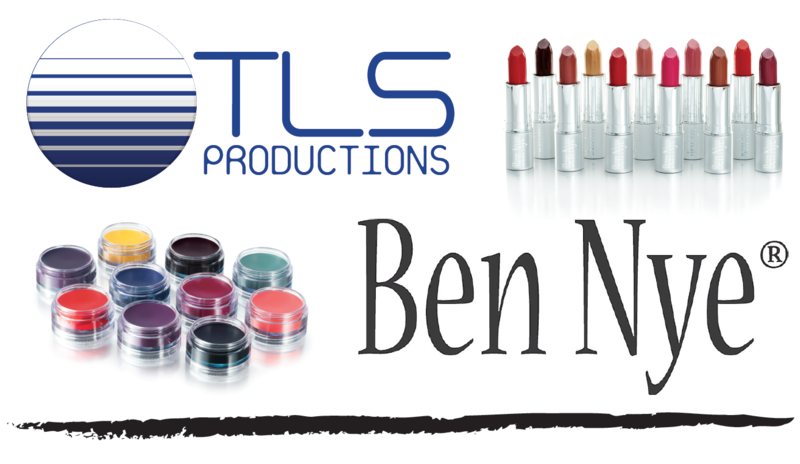 Bethany will be using some advanced lighting equipment provided by TLS Productions, Inc. to enhance her design. ED&T student, Malik Mathus will be providing sound design and original music for the production. For more information, click on the above image, and for tickets, click here. TLS Productions, Inc. has partnered with Eastern Michigan University to create the John Briggs Endowed Scholarship for EMU's Entertainment & Design Technology program. This scholarship creates a legacy at Eastern Michigan University by honoring John Briggs for his devoted service to the entertainment industry and the field of theatre technology. 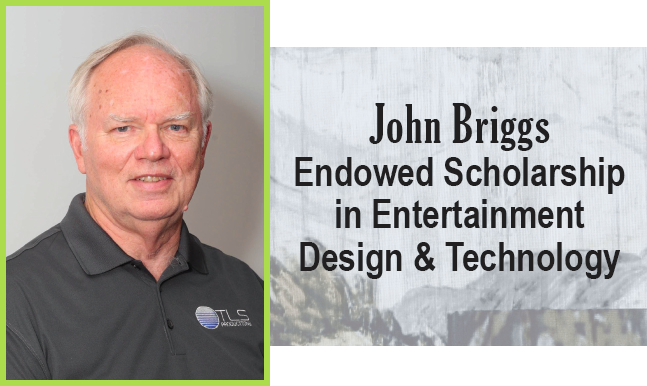 This scholarship honors the passion, dedication, and commitment to the field of theatrical technology by Eastern Michigan University Alumnus - John Briggs. 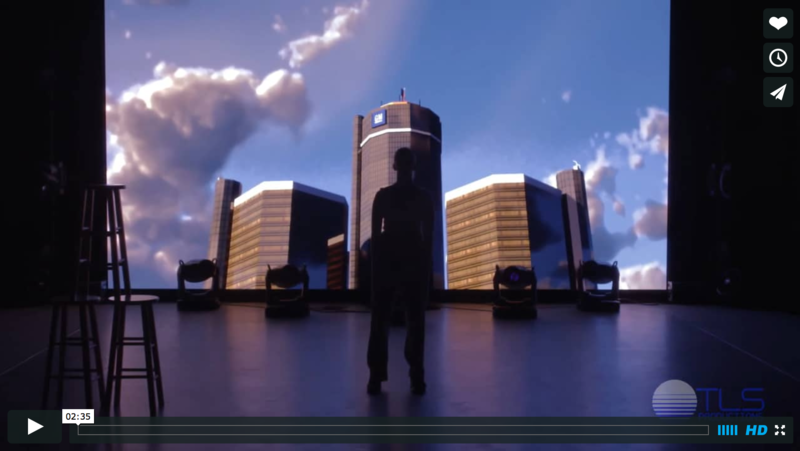 Over the years, John Briggs and TLS Productions, Inc. have generously given their time and equipment to assure EMU Theatre productions are of the highest quality, while using the most cutting-edge technology. EMU students appreciate the opportunity to work with state-of-the-art technology that prepares them for their professional careers in technical theatre. The scholarship is awarded annually to an Eastern Michigan University student majoring in Entertainment Design & Technology. To donate to this scholarship in John's honor, you may do so by downloading the scholarship brochure, available here - or by calling the Eastern Michigan University Foundation at 734-484-1322 - and of course, you can contact us for further information on the scholarship and learn how to donate. Be sure to contact our Sales and Rentals Team for great deals from the industry's leading manufacturers, and to find out what TLS Productions, Inc. & Design Services can do for you, contact us at any of the options below - and watch for more BIG news and BIG announcements from us during the weeks and months ahead! Have Something To Share About TLSP? We'd Love To Hear It! Click Here! Want To Demo Your Products To TLSP? Click Here! 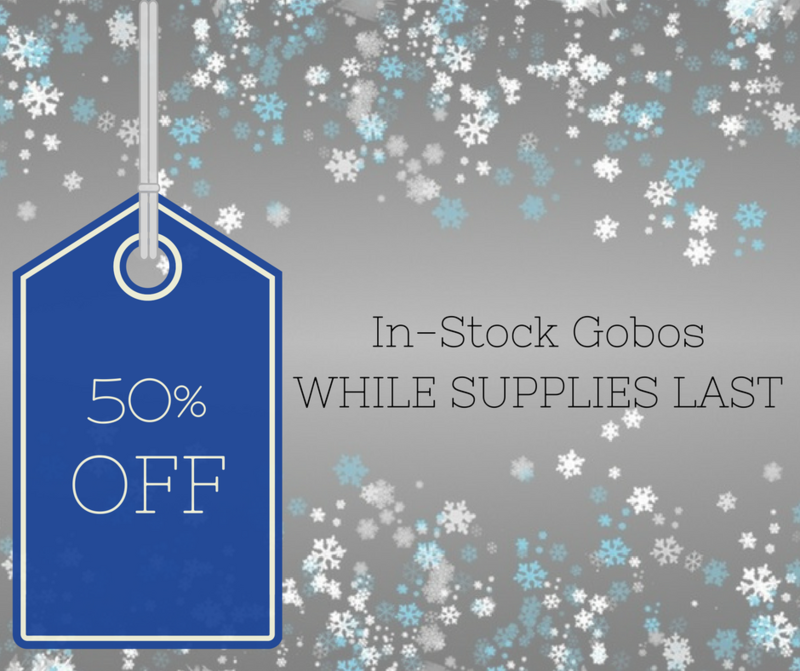 Watch What We Can Do For You! 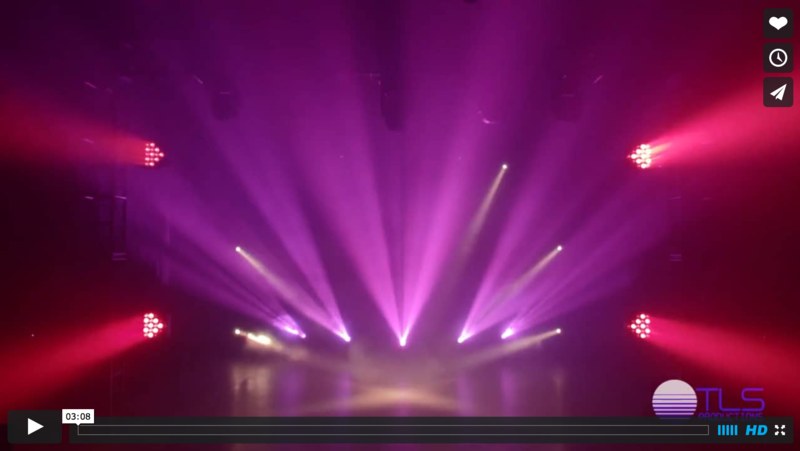 Watch What TLS Productions, Inc. & Grande Gesture Can Do For You! Copyright © 2016 TLS Productions, Inc. All rights reserved.